At a glittering society party in St Petersburg in 1805, conversations are dominated by the prospect of war. Terror swiftly engulfs the country as Napoleons army marches on Russia, and the lives of three young people are changed forever. The stories of quixotic Pierre, cynical Andrey and impetuous Natasha interweave with a huge cast, from aristocrats and peasants, to soldiers and Napoleon himself. 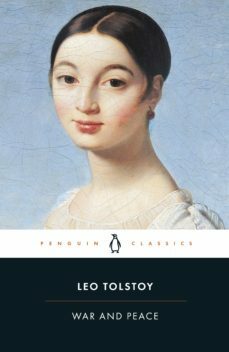 In War and Peace (1868-9), Tolstoy entwines grand themes - conflict and love, birth and death, free will and fate - with unforgettable scenes of nineteenth-century Russia, to create a magnificent epic of human life in all its imperfection and grandeur.